The standing overhead press is possibly the best upper body exercise for building muscle. Today, the bench press gets all the glory as the best upper body pushing movement, but back in the day, the standing overhead press was the main exercise to some of the most impressive physiques. Through the years, all the big names in weightlifting like Sandow, Steve Reeves, Reg Park, and Arnold used overhead pressing. Until 1972 the overhead press was a main exercise in weightlifting competitions but athletes arched their back so much to press more weight overhead that it became too hard for judges to tell if there was “excessive arching” and it was replaced with the bench press. 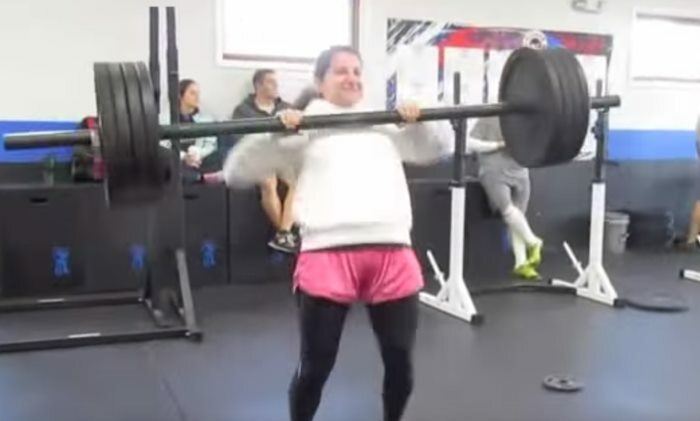 The standing overhead press is actually more effective than the bench press at building upper body mass.Because you are standing up rather than laying down, your core muscles ( your abs, obliques, transverse abdominal muscles, lower back and spinal stabilizers) work harder in order to stabilize your body, which means a better workout for the back, legs, and abs. Besides, well developed shoulders look more powerful than a big chest and small shoulders. 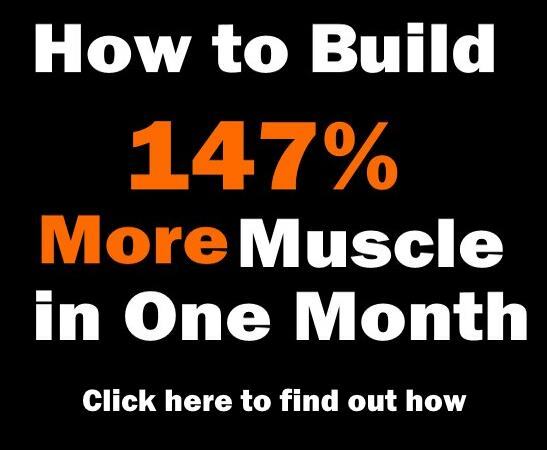 – You get a full body workout – Besides the shoulders,arms and upper chest,you work your back abs and legs while pressing.More muscle being worked means more HGH gets released. 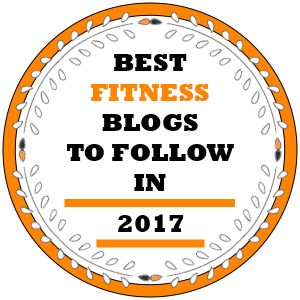 – You get a full shoulder workout with one exercise – The overhead press works all 3 shoulder heads of the shoulders while the bench press works only the front deltoids. 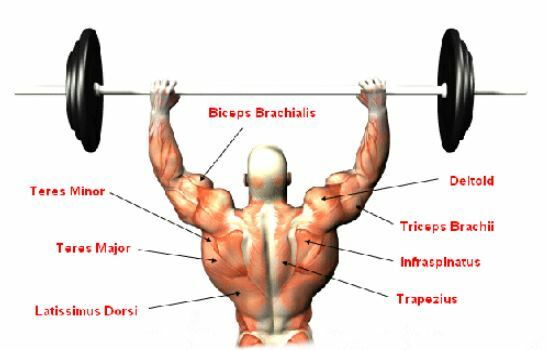 – Overhead pressing helps fix shoulder imbalances that occur because of excessive bench pressing. 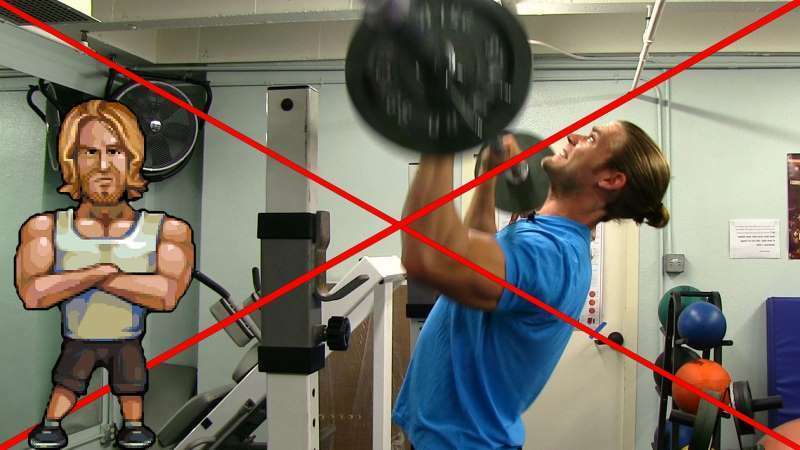 – You don’t need a spotter with the overhead press and you will never get stuck under the bar like with the bench press. 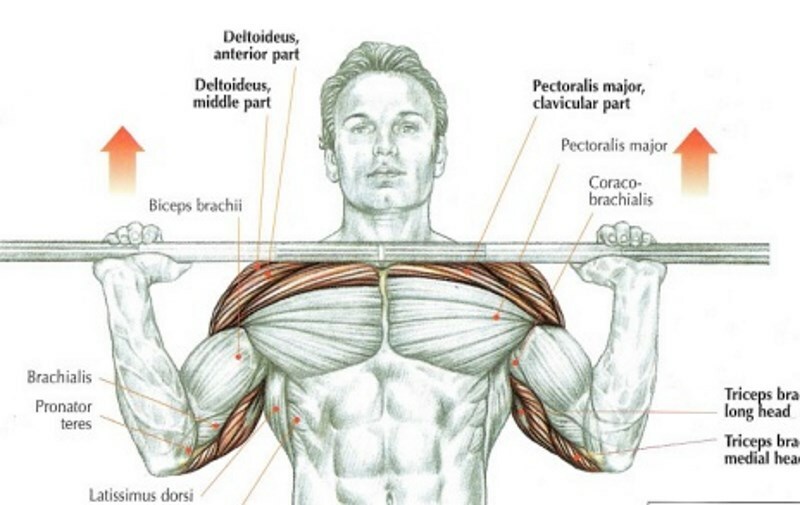 – Stand with your feet shoulder width apart and the bar resting on your upper chest. 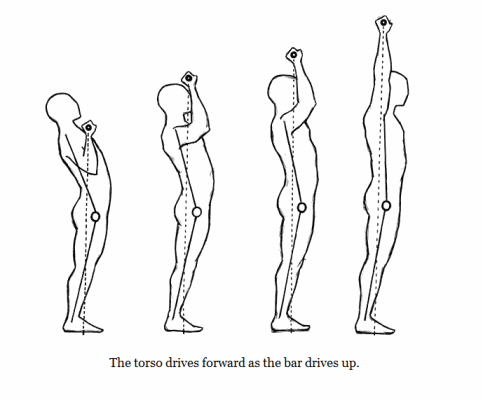 – The grip should be slightly wider than shoulder width. 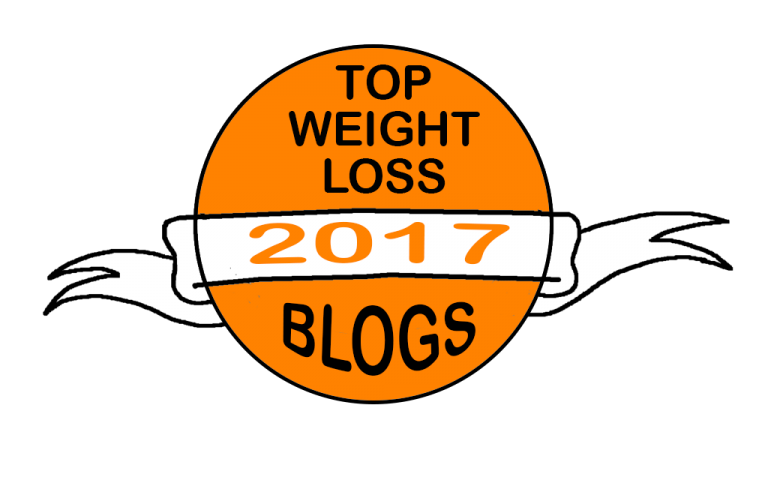 – Elbows should be pointing forward and knees tight. 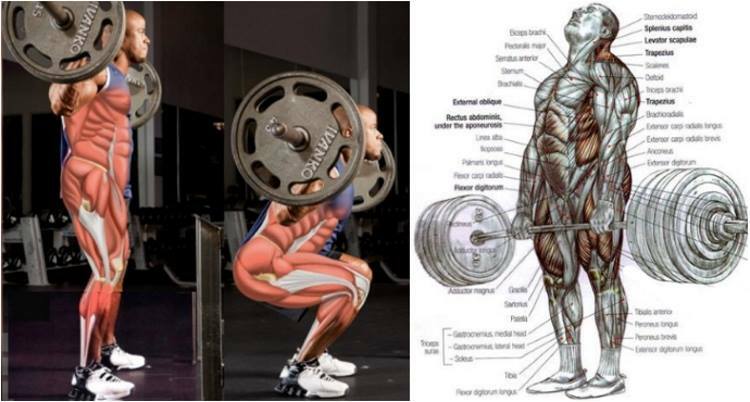 – Squeeze your glutes and press. Remember never go too heavy and arch your back too much as this can lead to injury.